2013 – Finalist Waverley Art Prize. Artest Gallery: Tutor Showcase ­‐ group exhibition. 2011 – Kaleidoscope Gallery, Sydney Solo exhibition. Finalist AWI Annual Exhibition, Gosford Regional Galleries. 2010 – Finalist AWI Annual Exhibition. 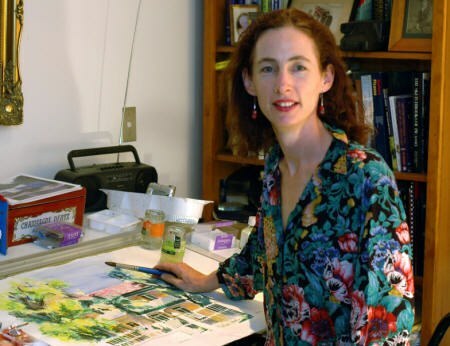 Tanya also designs and organizes a variety of “one-­‐off” Art events, workshops and classes: recent examples are Art Weekends : watercolour masterclasses at Broger’s End, Kangaroo Valley. Emanuele School advanced students two day workshop camp. Summer Art Series : one or two day workshops in painting at Artest in Leichhardt.